A number of stories about the ability to reuse or recycle containers have featured in the news this month. The Pringles tube was picked out as one of the worst offenders for recyclability. The Recycling Association claimed the metal base, plastic cap, metal tear-off lid and foil lined sleeve was a “nightmare”. However, the BBC news website quickly responded with a host of ideas on how to reuse the tube. There was good news too. 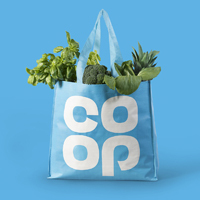 The Co-op supermarket voted to make all its own-brand packaging recyclable. Sainsbury’s committed to increase re-sealable and snap-pack packaging across 300 product lines, including cheese and nuts. While Unilever, the company behind brands such as Ben & Jerry’s and Dove, pledged to make all its plastic packaging fully reusable, recyclable or compostable by 2025. Because of our environmental credentials, Pac ‘n Vac continues to grow in popularity too. Our vacuum food storage containers don’t just reduce food waste; they’re reusable, BPA-free and made in the UK with a carbon footprint 80 times smaller than ordinary imported food boxes. And by keeping the food fresher for longer our Pac ‘n Vac food storage boxes save you money too!